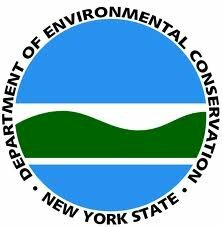 The NYS Department of Environmental Conservation has issued the following statement. New York, NY - August 5, 2014 - The New York State Department of Environmental Conservation (DEC) will hold its CleanSweepNY program the week of September 29, 2014 in Long Island, Commissioner Joe Martens announced today. CleanSweepNY is a program that helps promote a healthy and sustainable New York by providing opportunities for businesses, farms and schools to properly dispose of unwanted or obsolete pesticides and other chemicals including elemental mercury. DEC will also collect empty, triple-rinsed HDPE (#2) plastic pesticide containers for recycling. "DEC rotates the successful CleanSweepNY program throughout the state to give farmers, businesses and institutions the opportunity to reduce potential environmental impacts in our communities and help us build a toxic-free future," said Commissioner Martens. "Partnering with the state Department of Transportation, we are concentrating our efforts this fall on Long Island where we hope to collect old, unwanted or outdated pesticides and chemicals to keep these materials out of conventional waste streams and municipal landfills. CleanSweepNY will keep these contaminants from entering Long Island's ground and surface water, in keeping with Governor Cuomo's initiative to improve and protect water resources in collaboration with Nassau and Suffolk counties." DEC is targeting Nassau and Suffolk counties for September's CleanSweepNY efforts. The program is designed for entities such as agricultural and non-agricultural professional pesticide applicators, schools and business users such as golf courses, cemeteries and marinas. The CleanSweepNY event also supports DEC's recently released Long Island Pesticide Pollution Prevention Strategy that was developed to mitigate impacts from pesticide use on Long Island. CleanSweepNY services are not available to homeowners. Since 2002, CleanSweepNY has held 16 collection events across the state. To date, CleanSweepNY has collected and properly disposed of over 1.25 million pounds of chemical wastes, including more than 817 pounds of elemental mercury and collected over 4,200 plastic pesticide containers for recycling that would otherwise have been disposed of in municipal landfills. CleanSweepNY is an Environmental Benefit Project administered by the Natural Heritage Trust (NHT) and was initially established with approximately $2.2 million from several enforcement settlements in DEC's Pest Management Program. The collections are scheduled and organized by DEC with the collaboration with state Department of Transportation which provides collection sites for the unwanted chemicals. The program is supported by Cornell Cooperative Extension, the Agricultural Container Recycling Council, Soil and Water Conservation Districts, New York Farm Bureau and related grower associations. Participants must pre-register by September 5 if they have unknown materials and compressed gas cylinders and by September 19 for all other materials. For more information, visit CleanSweepNY's website or call toll free: 1-877-SWEEPNY (877-793-3769). Subject: LongIsland.com - Your Name sent you Article details of "DEC to Hold CleanSweepNY Program in Long Island to Collect Unwanted Pesticides and Chemicals from Farms and Businesses"